Follow all company rules, regulations, policies and procedures. Ensure that clients’ rights are respected and protected. Work to create an environment that will be positive for all clients. Maintain the highest regard for client and staff safety. Always employ the least restrictive intervention when de-escalating negative behaviors. Only restrain clients as a last resort. Conduct myself as a professional at all times. Monitor client behavior and respond early and appropriately to avoid the crisis. Work as a team with my fellow staff members. Dan Lonigro, Global Professional Instructor from Crisis Prevention Institute, Inc. was impressed with the outcome of the candidates progress and competencies throughout the training. “It is clear to me that your in-house training program has paid off. You have a great group of First Responders.” said Mr. Lonigro. The graduation for the thirteen candidates was held at the John D. Fuller, Sr., Recreation Center in Fayetteville, NC, on June 8, 2012. They were honored for completing the rigorous requirements for graduate status. Jonathan Glover, VP of Business Affairs/Human Resources, was the MC for the program, which he described as being “on fire.” The graduates’ families were present to share this experience. There were tributes throughout the event. The procession was outstanding and it concluded with the graduates, in full gear, marching in unison. Speeches, songs, dedications, and a delicious assortment of food completed the celebration. Nothing develops into excellence without the support of outstanding people. An appreciation goes out to the following individuals who worked diligently in the background to make this event successful: Hillary Rumppe, Foster Dean, Debbie Atkinson, Linda Petruolo, Keeta Graham, and Tracy Taylor. Congratulations to the Graduation Class of 2012 First Responders! 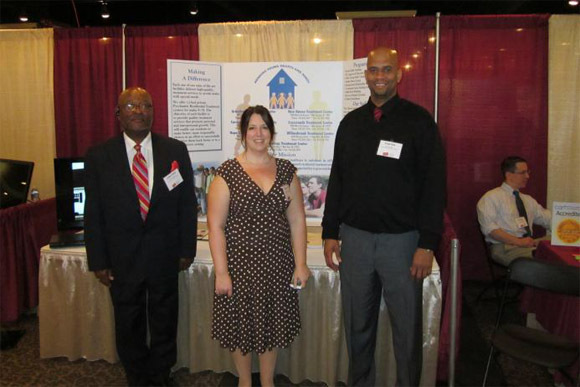 On December 6, 2011, The North Carolina Council Community Mental Health, Development Disabilities, and Substance Abuse Programs (NCCC MH/DD/SA) held their annual Conference & Exhibition in Pinehurst, NC. The NCCC MH/DD/SA seeks to identify effective and innovative community programs that have been instrumental in serving individuals with disabilities in North Carolina. The NCCC MH/DD/SA provides an excellent venue in which providers can network and exchange information about what their company offers. This event housed over 800 vendors from all areas of North Carolina including outside states. Premier Health Services, Inc., /Cornerstone Treatment Facility, Inc. and CTFP, Inc. had an exhibit that displayed the company’s mission and vision along with listing the services we provide with the several locations throughout North Carolina. The NCCC MD/DD/SA Conference & Exhibition was an excellent opportunity to increase awareness of the opening of our new facility, Jackson Springs. Overall our marketing efforts were successful in displaying our brand to our target market, the Local Management Entities (LME’s). Premier Health Services, Inc. /Cornerstone Treatment Facility, Inc. and CTFP, Inc. were proud to participate in this statewide event. Our agency also participated in the Sand Hills Community College Health Fair. This health fair was an excellent opportunity to recruit graduating nurses and offer employment opportunities for positions at our facilities. We presented an exhibit at the health fair displaying the firm’s employment opportunities. The exhibit was a success as we offered awareness of opportunities in the firm’s newest facility, Jackson Springs. We are still growing! We have opened another facility, Jackson Springs Treatment Center in Moore County, NC. 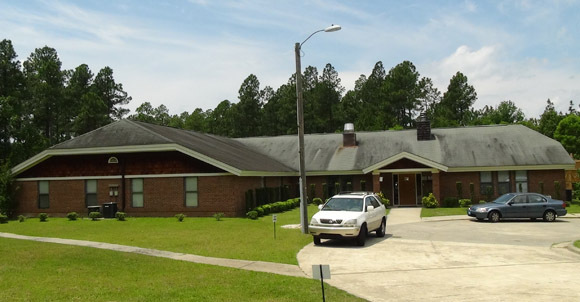 Jackson Springs Treatment Center is a state of the art 12- bed Psychiatric Residential Treatment Facility (PRTF) which is working on becoming licensed to handle 18 youth in the near future. The facility has three units, so the consumers are totally separate. This enables consumers to receive services in smaller groups. Jackson Springs Treatment Center also has space to accommodate in-house training for new employees and continuing education. To read more on the opening of Jackson Springs Treatment Center, click on the link below.